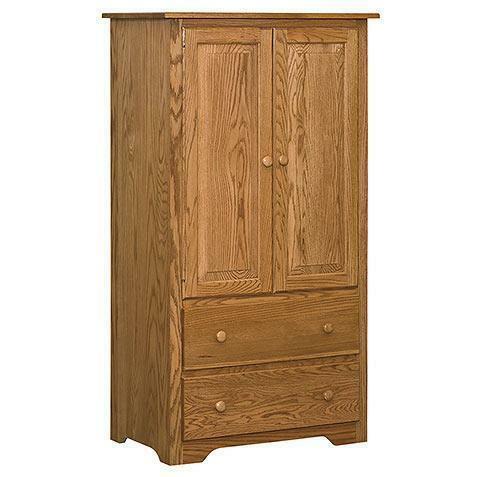 Our English Shaker Armoire is the perfect place to store your clothes or keep your television out of sight. This beautiful Amish Armoire comes with 2 drawers, 2 shelves, and a clothes rod for folding or hanging your clothing! You can have our Amish woodworkers handcraft this armoire in your choice of four different hardwoods and your favorite finish color!